Skilled sales teams are no longer necessary to provide product or solution information, except when online marketing content is inadequate. If answering product questions is all that buyers require, sales teams are destined to become help desks. Skilled sales teams are increasingly unnecessary to configure a buyer’s solution or quote on it, except when online configuration and pricing tools are incomplete or too complicated to use. Although deliberately mystifying solution design or pricing is a sales strategy that promotes live buyer contact, sales teams confined to a rote configuration and pricing role are headed for replacement by AI tools and intuitive user interfaces. If the only reason that a buyer calls a sales rep is to get a price quote, that call is more likely to come from procurement than from a buyer sponsor or champion. Skilled sales teams are increasingly unnecessary to take an order or execute a deal. While seller decision making will likely remain under human control despite the algorithms, payment systems, online purchasing options and automated contracting are circumscribing the traditional sales role as ambassador between buyer decision makers and seller decision makers. Obituaries for product selling and solution selling have been written many times. 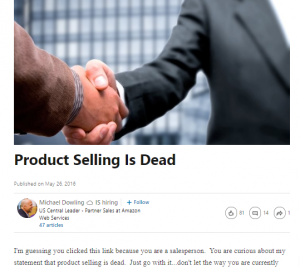 David Sandler and Michael Dowling each highlighted the death of product selling concisely in 2016 blogs, but selling product features has been a declining emphasis for B2B sales training firms for years. 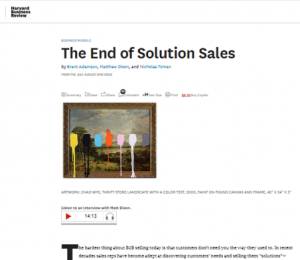 A 2012 Harvard Business Review article, by the Challenger sales team, declared that solution selling has become obsolete with Forbes highlighting the same theme in 2018. 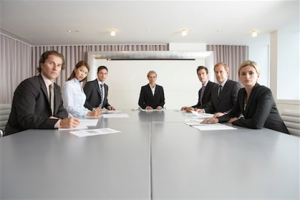 The Role of B2B Sales Teams. That said, reports of the death of sales have been greatly exaggerated. Sales training firms are thriving. Strategic consultants are not advocating the wholesale demolition of B2B sales teams. There is a fundamental reason that B2B enterprise sales continue to receive plenty of attention. For innovative products and solutions, buying processes are becoming more complicated, more varied and more uncertain. B2B buying decisions are usually a committee process based on input from a number of individual stakeholders within an account. In 2016, according to Brent Adamson, the average number of stakeholders involved in a B2B purchasing decision had risen to 6.8. Understanding and connecting effectively with these stakeholders takes more than looking at their LinkedIn profiles. It takes skilled sales teams identifying specific pain points and enlisting individuals involved in a buying process. Sales team composition and training are designed more and more to connect with stakeholder-specific needs and concerns. On the other side of the table, buyers are increasingly disciplined in evaluating purchases by producing a business case to buy. A CFO Magazine survey of Buyer Executives found that over 90% of enterprise buyers involve their finance teams in selecting vendors, developing business requirements, and preparing/reviewing the financial justification for buying decisions. A quantitative or financial business case, as part of the B2B buying process, is the rule, not the exception for major purchasing decisions. 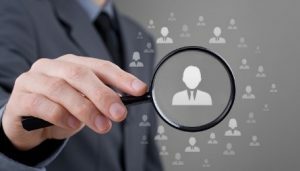 Skilled sales teams are required to engage buyers during their evaluation process, in part to help mold and support the buyer’s business case to buy. B2B sales effectiveness requires psychology and social skills, but it also requires rational analysis. Customer-Centric. Sales conversations work best when they identify a target’s specific problems and/or objectives. Getting a customer to talk about pain points that a sales team credibly understand builds trust. Customer-Relevant. Whether or not sales content is tailored specifically to accounts or stakeholders, it needs to be relevant to the target’s business and to the target’s identified problems or opportunities. Delivery-Centric. 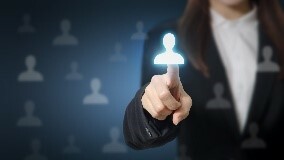 Customer sponsors understand that they will be held internally accountable for any buying decision that they recommend. They expect sellers to be explicit about, and accountable for, the delivery of results from their solution. Shifting from a Solution Conversation to a Value Conversation. A recent analysis of over 1 million sales calls by Gong identified a number of behaviors that separate the best sales performers (the top 20% by performance) from their peers. The Gong data show that the best performing sales reps talk only 46% of the time (and listen 54% of the time). This 46% rate stands in contrast to average reps who talk 68% of the time and low performing reps who talk 72% of the time. Effective sales conversations are Customer-Centric. The Gong data also show that the best reps spend 39% less time than average reps talking about technical topics and features. Star reps spend 52% more time talking about value-related subjects than average performers. Effective sales conversations are Customer-Relevant and Delivery-Centric. Value Propositions: Content for Effective Sales. To address uncertain and complex buyer processes, sales teams need well-developed skills, but they also need sharper and more focused tools. To be effective, sales teams require content to support conversations that are Customer-Centric, Customer-Relevant and Delivery-Centric. 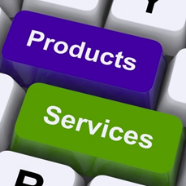 Product brochures and solution specifications often satisfy none of these three criteria. In contrast, relevant case studies and well-designed Value Propositions provide all three elements by focusing on customer problems, offering specifically relevant content, and centering product and solution conversations on what you deliver to your customer. Most commercialization teams would say they have a Value Proposition. Yet not all Value Propositions are created equal. Some Value Propositions are marketing mush. Value Propositions are not tag-lines or slogans, even if good tag-lines reflect the value you deliver. Value Propositions highlight your differentiation, but they lose customer focus if they list differentiated features. Value Propositions provide insights into your solution’s positioning, but they are not simple positioning statements. Help identify the buyer problems or objectives that you address. your solution has delivered to comparable buyers. 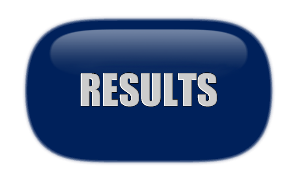 Draw attention to your differentiated ability to deliver these results. 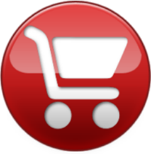 Support a buyer’s business case to buy. In the hands of good sales teams, strong Value Propositions evolve from Flexible Case Studies early in the sales cycle to Customer Value Analyses during a customer evaluation to a Shared Business Case to Buy that helps sales teams speed the time to closing. CRM data from organizations adopting value selling show that opportunities where a Value Proposition is used (1) have 5-15% higher win rates and (2) 5-25% higher price outcomes. Adaptable to customer specifics. A library of case studies might highlight what you deliver to your customers, but static case study PDFs are not flexible enough to adapt to account and stakeholder specifics. Great Value Propositions are adaptable to support focused and informed conversations about the specific needs and pain points of a buyer. 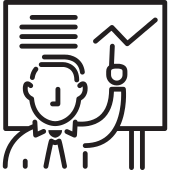 Drawing on case studies as a starting point, they can be tailored to the identity and business specifics of a buyer. They support discussions of the specific decisions and tradeoffs contemplated by a buyer. Value Propositions are central content for account-based marketing and account-based selling. The specifics in a Value Proposition draw sales teams together in call preparation, as they focus on key customer information. Aligned with buyers’ processes. The depth and breadth of well-designed Value Propositions support value conversations between sales teams and buyer teams throughout a buying process. Value Propositions provide content that helps buyers obtain an early vision of value, that entices buyers into evaluating your solution, that helps build buying team consensus on what your solution delivers, and that generates a buyer’s business case. During the course of a buyer’s journey, the Value Proposition helps support sales teams as they configure a solution to fit buyer needs and priorities. Effective Value Propositions rely on quantitative and financial content to support a business case, but provide qualitative options so that conversations go no deeper than necessary. Invite an active role for the buyer. The best sales reps build trust by inducing buyers to talk about what matters to them. We have already highlighted the importance of listening. Sales monologues are an ineffective way to close deals. But there are many ways to get a buyer talking. A checklist of questions is not the best approach – it can create what Chris Orlob at Gong calls “discovery fatigue.” There is a clear difference between an inquisition and a conversation. Gong sales call data show that the best reps sprinkle questions evenly through a call. Orlob highlights some great techniques to invite buyer monologues in phrasing questions, reacting to customer comments and asking “questions only an expert could ask.” By shining the spotlight on relevant business results, great Value Propositions provide content that helps sales teams ask expert questions and respond to buyer comments in a way that builds credibility as trusted advisors. 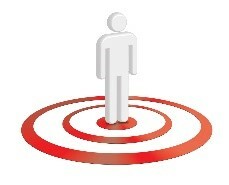 Formulate and manage buyer expectations. 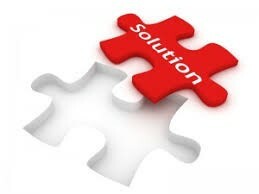 Rational buying committee evaluations invariably need to understand what your solution will deliver. Nervous sales reps tiptoe around answers to their direct questions. Great Value Propositions provide insights into what you are going to deliver in qualitative, quantitative and financial formats. Having those insights at their fingertips, sales team confidence increases. They can have conversations with buyers about what you deliver that go only as deep as buyers want to go. 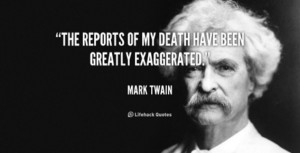 But exaggerated claims for what you will deliver can be as bad as no claims at all. Having the flexibility to lay out a realistic or conservative vision of value helps to persuade and prove. Mapping out reasonable expectations helps to set up a business relationship for a successful implementation where buyers and sellers share accountability. Value Propositions are not just about closing a new account. They are about making accounts successful and retaining them. Tell a story. Great Value Propositions provide a foundation to build a business case. But some approaches to serving up that business case are better than others. A sales call with a single-minded, analytical objective to prove ROI is unlikely to be successful. Business case dialogues are always better than ROI monologues. Jumping straight into proving financial value tends to help only when a buyer is already sold in concept. Earlier in the buyer’s journey, it makes sense to tell a before and after story, introducing the business case as part of a narrative. “Before” matters in this narrative not only by creating context, but also by connecting with buyer problems and pain points in a non-threatening way. Proof monologues invite a buyer to challenge your assumptions. Flexible case studies, as value narratives, invite collaborative conversations. Value Propositions as Platforms for Customer Collaboration. Compete with your competitors. Partner with your customers. The best B2B enterprises deploy Value Propositions to improve B2B sales performance, addressing sales challenges in a way consistent with an organization’s sales training, throughout the B2B sales cycle. It isn’t hard to start value selling. Value Propositions replace marketing mush with core sales content that helps sales teams communicate what your solution does for your customers. Value Propositions are a shared basis for collaboration that help sales teams win.